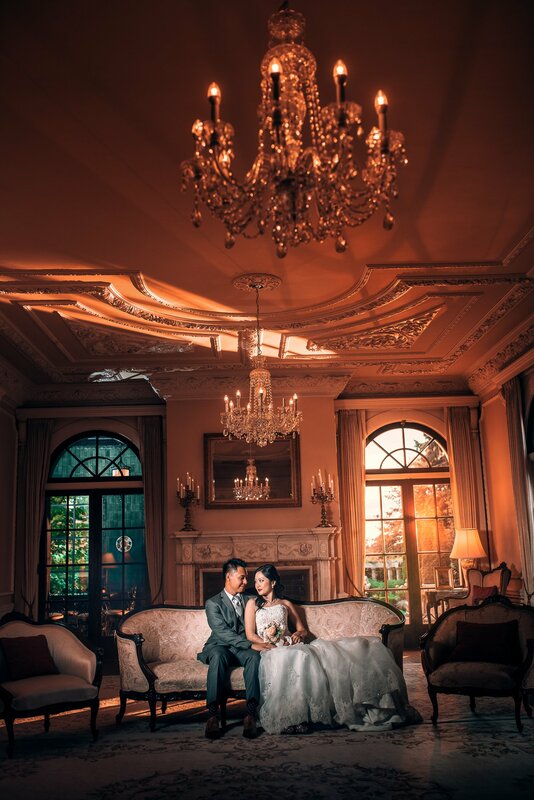 What’s a Pre-wedding session you ask? 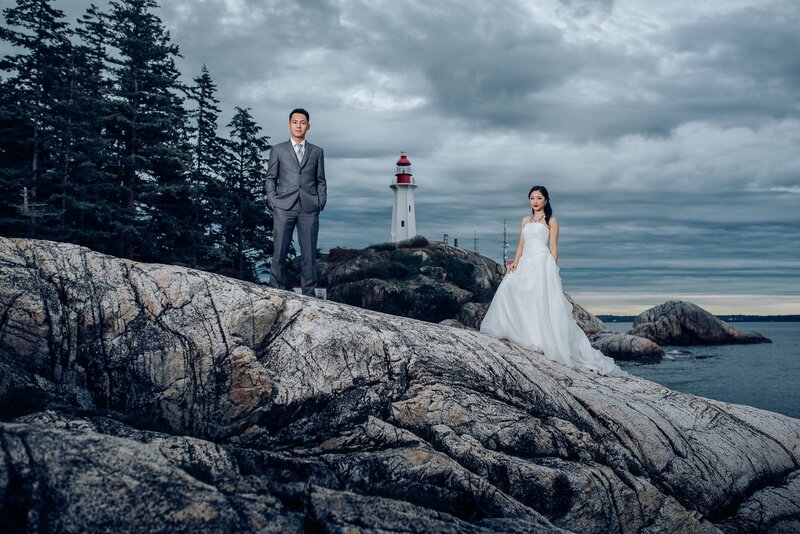 Well it’s a tradition that comes from Asia (super popular in China), where couple gets dressed up in wedding attire and get photos at amazing locations they wouldn’t be able to go to on their wedding day. 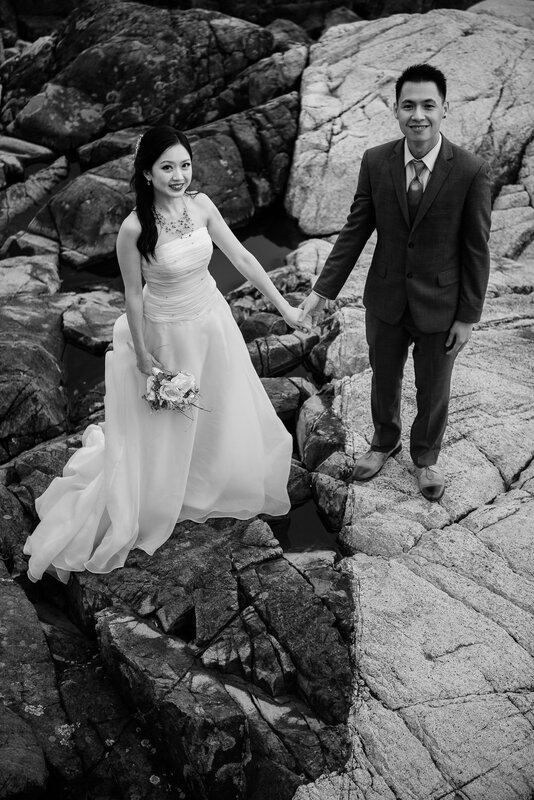 You can find out more about pre-weddings here. 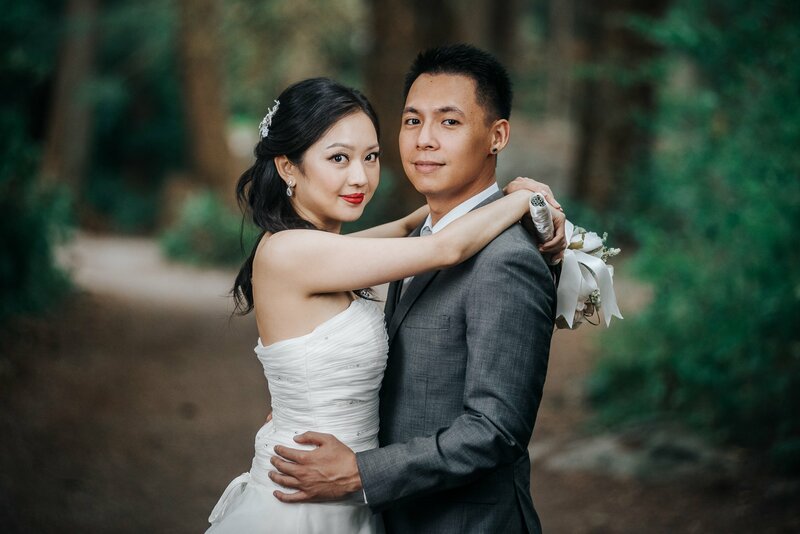 With this pre-wedding session, Helena and Irsan wanted to get Lighthouse Park and Hycroft wedding photos. 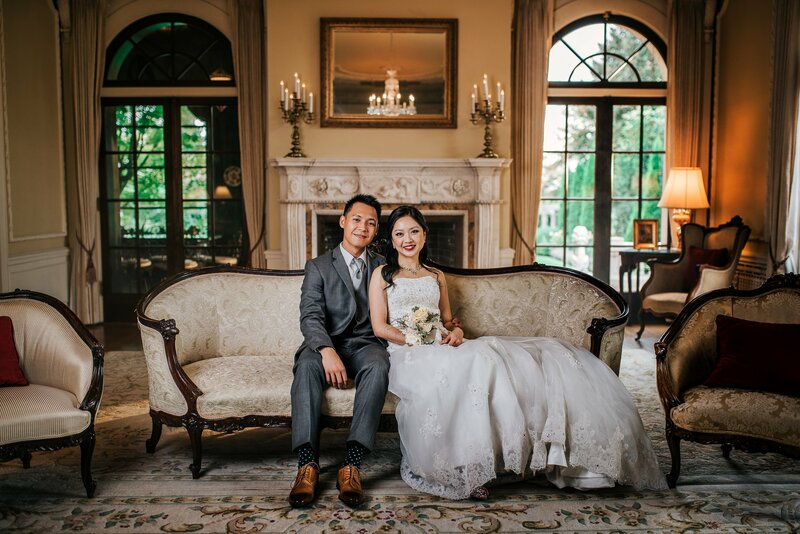 Hycroft is becoming a really popular Vancouver wedding venue, and there is good reason why: It’s a gorgeous building with really old architecture, and has a very romantic feel to the venue. 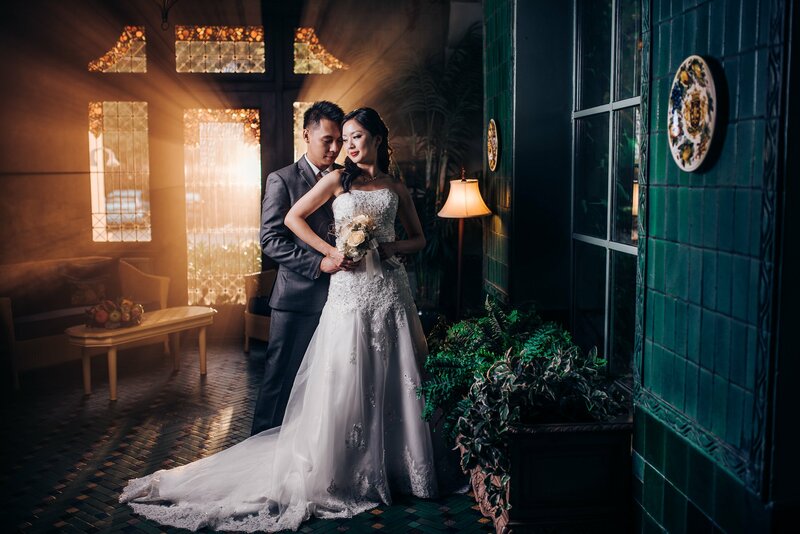 For those that cannot get married there, more and more couples are renting it out for these types of sessions, so they can still get those amazing wedding photos they really want. 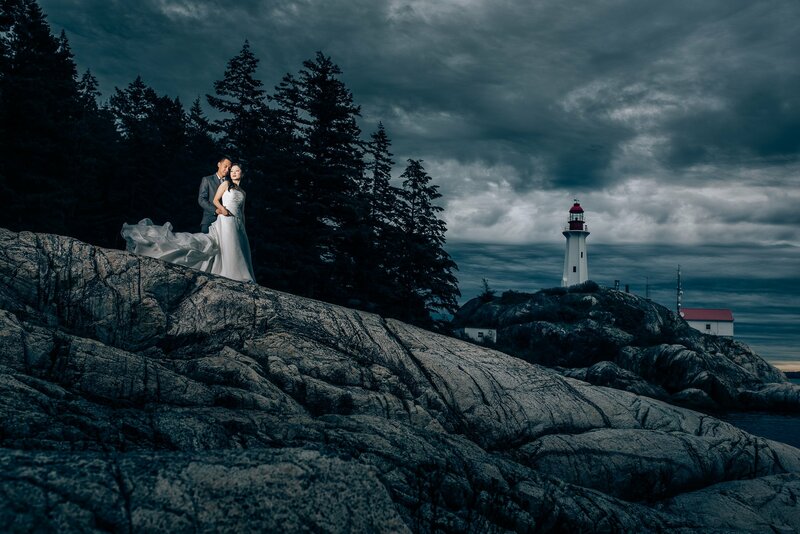 Lighthouse Park is an amazing west coast looking location in West Vancouver. For those that haven’t been there, you have to go! 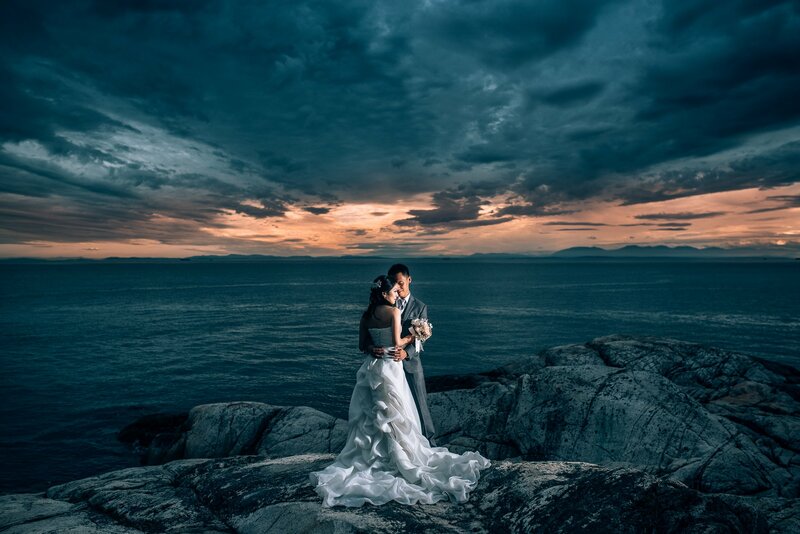 It has rainforest, a lighthouse and look outs towards Vancouver, UBC and Vancouver Island. 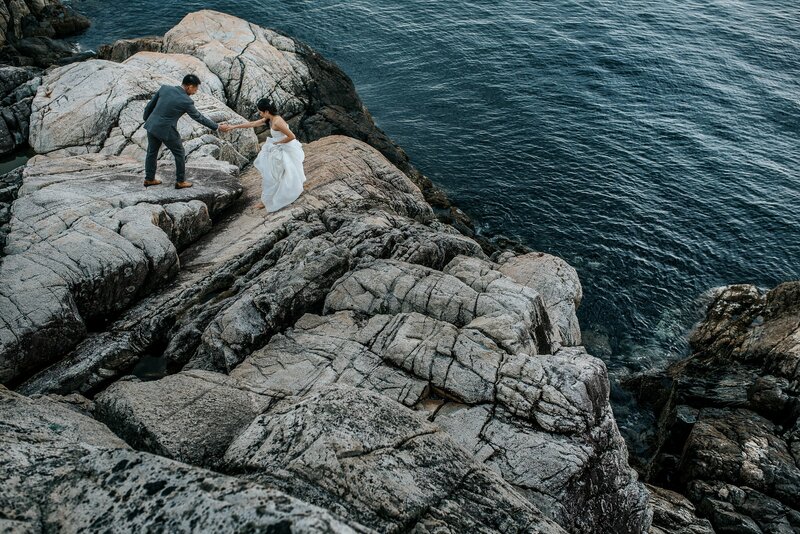 You won’t see many wedding photos from Lighthouse Park is because it’s a decent hike to get to these spectacular look outs. 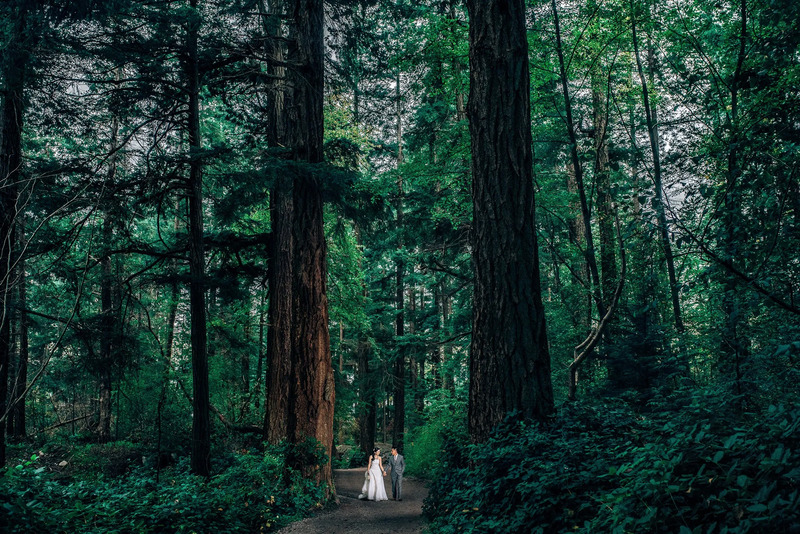 So it’s not ideal for the wedding day unless you have a lot of time and a good pair of sneakers, but it’s perfect for a pre-wedding or engagement session! 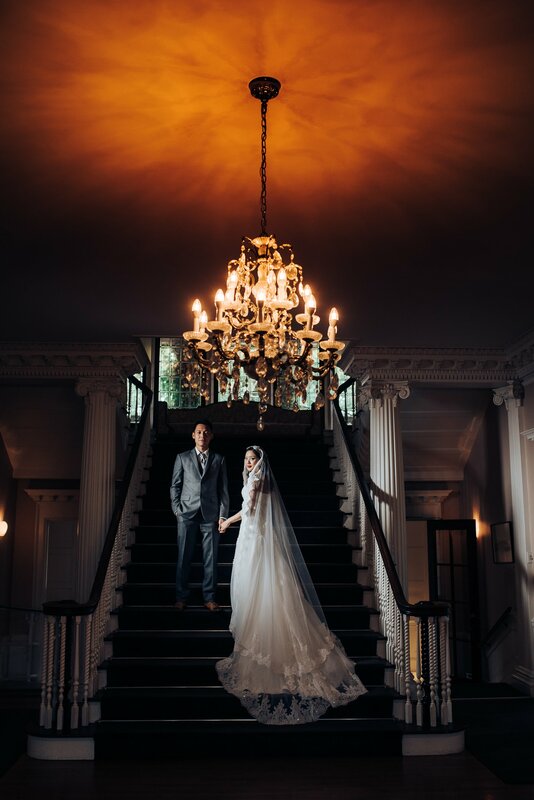 Helena and Irsan were an amazing couple to work with! They went along with every idea we had, and also put in a few of their own great ideas into the session. The session lasted 4 hours so we could get to both locations comfortably and take relaxed photos. Helena had two different wedding dresses to go with the different scenes, and they worked out perfectly. 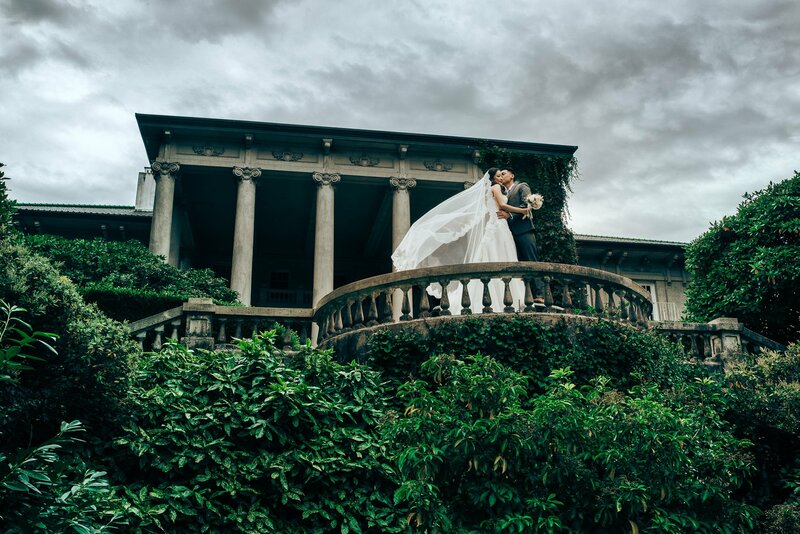 This was such a fun contrast of locations with architecture and nature, and we love how the photos turned out. 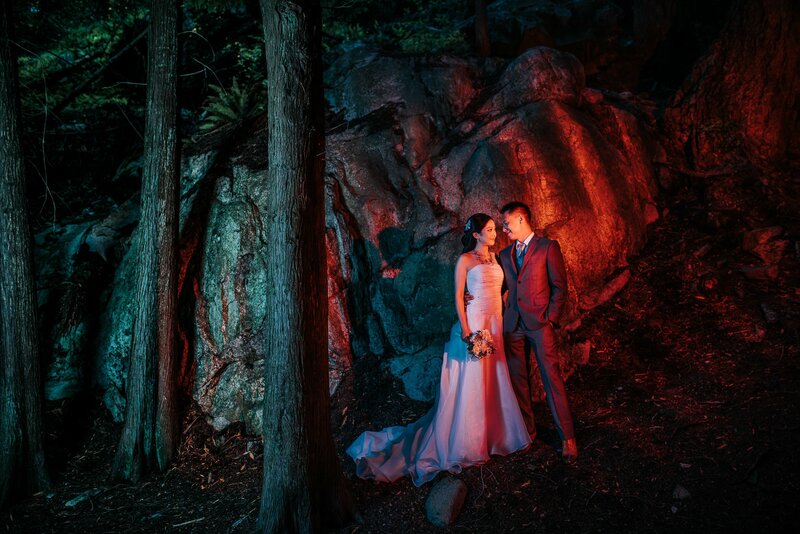 This is one of my favourite photos of the day from lighthouse park! Ending off with some colour in the sky overlooking the ocean! 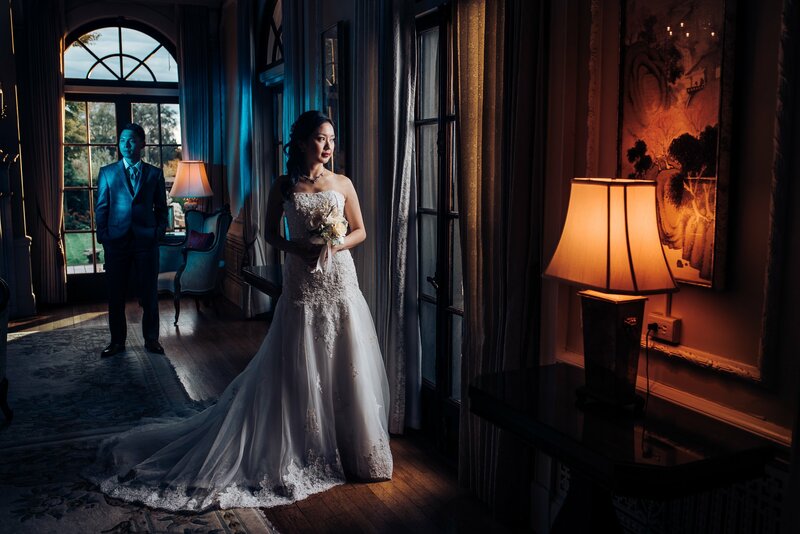 I love how you captured the light and the beauty of the location. Excellent work!